Product prices and availability are accurate as of 2019-04-19 11:13:08 EDT and are subject to change. Any price and availability information displayed on http://www.amazon.com/ at the time of purchase will apply to the purchase of this product. 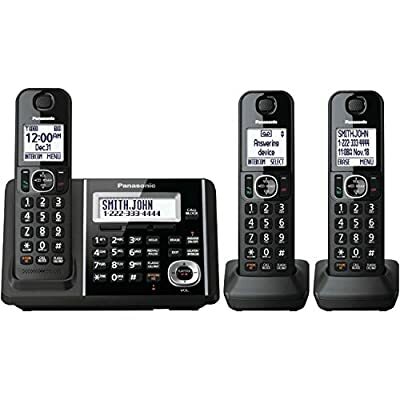 KX-TGF343B Digital Cordless Phone System with 3 Handsets . 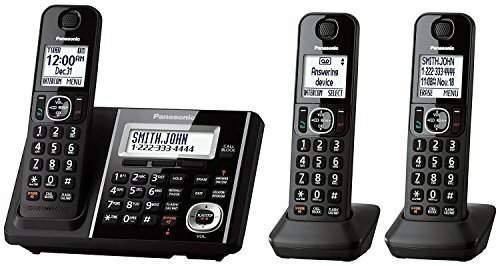 This sleek, home and home office phone system not only makes everyday calling easier, a dedicated Call Block button makes it one-touch simple to block up to 250 unwanted numbers. 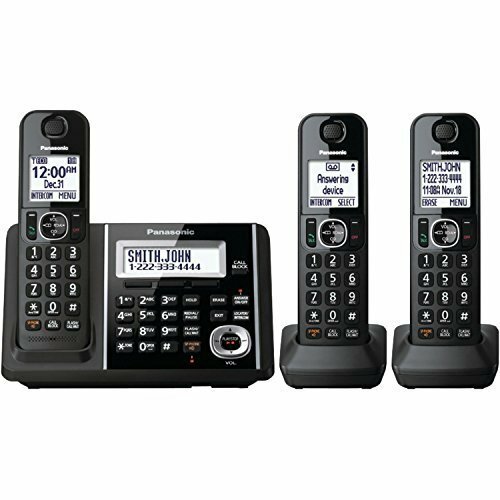 Expandable to 6 handsets, this reliable call management system includes a baby monitor, bright 2.5-inch LCD for maximum readability, 100 number phonebook, 17 minutes of voice messaging, noise reduction, power backup and key detector compatibility.